The 9 Best Diners in Arkansas! When it comes to food in Arkansas, sometimes a great diner is the way to go. These roadside restaurants usually resemble a dining car on a train and are usually easier on the wallet than some of the more upscale eateries. Featuring a regular crowd and good down home cookin’, here are the best diners in the state. You’ll feel like family as you’re greeted with a smile at this popular diner. Dan’s I-30 Diner has been serving breakfast and lunch in the Benton area since 2009. 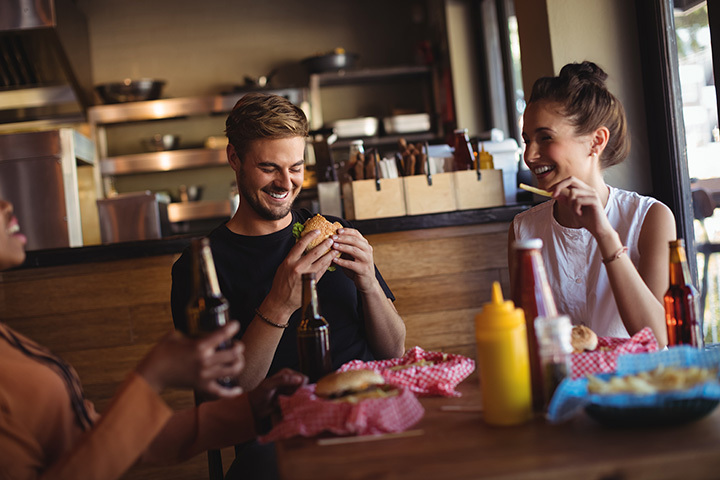 Local menu favorites include breakfast choices like the Hungry Man or the Eighteen Wheeler and lunch choices like chicken fried steak or an old-fashioned hamburger. This gem is nestled in historic Monte Ne. The Monte Ne Inn Chicken proudly serves family style meals. How about starting off with a kettle of homemade bean soup? Other popular choices include the famous fresh fried chicken and a loaf of home baked bread. Everybody loves Miss Anna’s! Tuesday is free pie day…that’s right FREE pie! But that’s not the only reason that this place is a local favorite. Miss Anna’s offers an amazing menu of home-style comfort food and a friendly staff that creates a relaxing environment. This American diner in Harrison is a must if you’re looking for real food and hometown hospitality. The Neighborhood Diner is known for its coffee, chicken fried steak, and biscuits and gravy. How about a hand-dipped purple vanilla shake in a classic diner atmosphere? That’s just part of the charm that you’ll find at the classic Purple Cow diner and soda fountain. From gourmet burgers to old-fashioned ice cream treats, this place has long-been an Arkansas family favorite. You’ll feel like you’re eating at Grandma’s house when you visit the Grapevine Restaurant in Paris, Arkansas. This small town, seat yourself diner offers a great selection of homemade comfort food. Home Plate is a popular little diner in Bryant, Arkansas. Some of the local favorites include chicken fried chicken and steak, fried dill pickles, cinnamon rolls, and peanut butter pie. This is a great choice for your lunch break. This family-owned diner has been serving breakfast, lunch, and dinner in the New Blaine area since 1990. Stop in for some delicious chicken fried steak, catfish dinner, or chocolate ice box pie. This place is listed on the National Register of Historic Places…so you gotta check it out! The Old South Restaurant serves up some of the best home-style cooking in the Russellville area.